Individual photovoltaic (PV) cells are connected to panels. 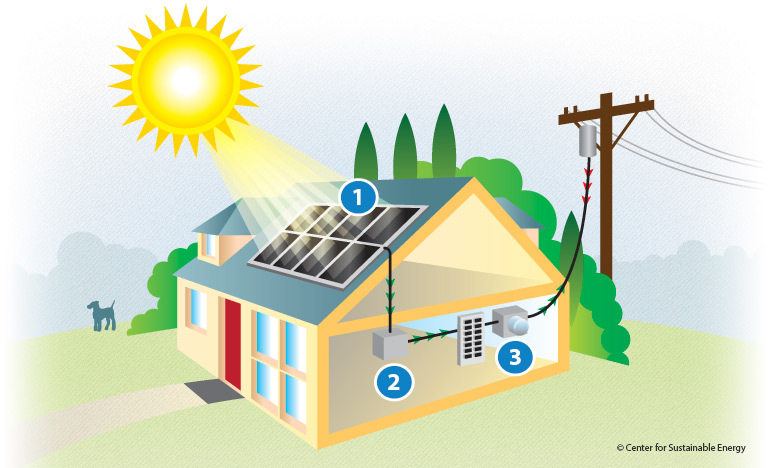 Solar panels convert sunlight into direct current (DC) electricity. The utility meter records the net amount of energy generated through the PV system. When you create more electricity than you use, your meter will spin backward and the excess electricity is sent to the electric grid. This helps to offset the cost of your electricity usage at night or on cloudy days when your system is not producing enough electricity.